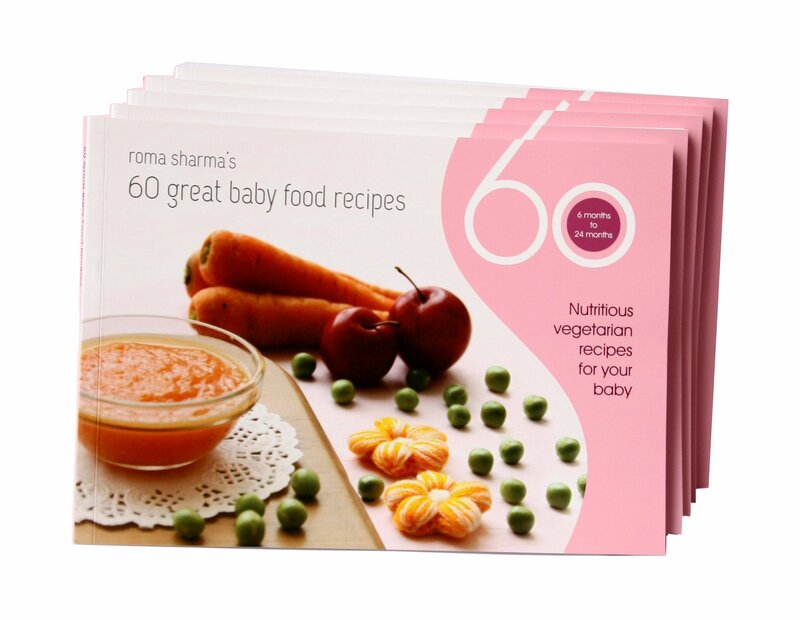 Here is an ultimate way to unwind whenever you are bored or even want to create something yummy to entice your kid into eating it. 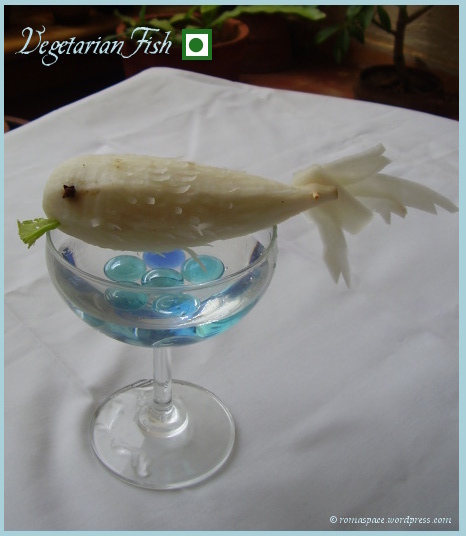 Vegetable carving goes back to good old days when a boat used to be made out of a cucumber to keep lord Krishna’s idol during Janmashtmi or to the grinning pumpkins that were and still are so popular during Halloween. With changing trends, vegetable carving today has become an art in itself. When you order salads at those fancy places you must have come across some interesting things made out of the fruits and vegetables. Here is a garden I carved for myself. Gosh! It was very difficult to take a picture right before my baby crashed into it. She couldnt keep herself from eating the cucumber chains I had made for the garden fence. So next time your child refuses to eat salad this is possibly one option you can try. Cucumber fence has been made by peel stripping layers of the outer skin of a cucumber and shelling out the seeds using a mellon baller. Finally, slices have been cut out of this cucumber. A small slit was made on one side of the ring and these rings have been interlocked to form a chain. 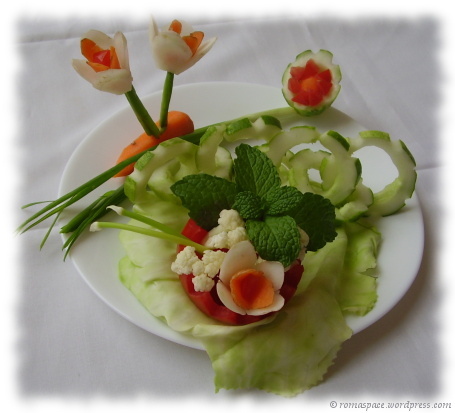 Flowers have been made by slicing out petals from the tail end of a radish and a carrot. A tiny piece of tomato has been placed in the middle of the flower. The stem has been made using spring onions. The entire flower is held together by a toothpick. Watermelon has been made by peel stripping the tail end of a cucumber. The seeds were then removed and a small ball of carrot was placed within. Tiny pieces of tomato were placed around the carrot to make it resemble a watermelon. The Garden lawn has been made using a cabbage leaf and a few spring onions have been placed by the side for added greenery. This carving was so easy to make. Next time I throw a party I am sure I can make a few fishes out of carrots and radishes and keep them with the salad. That way I can tell my friends that I have made fish for them and I would love to see the stunned look on their face since they all know that I am a vegetarian. This is my entry to the Vegetable Carving Event which I’m hosting this month. Last Sunday we neighbors met for a potluck lunch. The flavor of this salad left me wondering what the dressing could have to make it so unique. 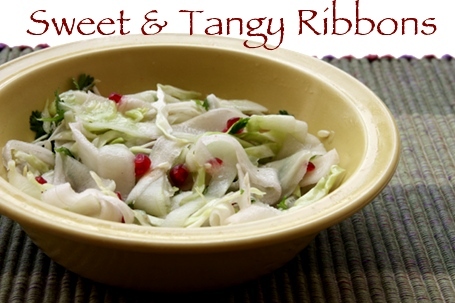 Its a cousin of the coleslaw yet very different in its taste and appearance. Grate the carrot and shred the lettuce. Finely chop capsicum, beans and apple. Parboil beans and corn. For this you need to boil water add salt, beans, corn and turn off the heat. Cover and let the vegetables simmer in their own steam till they cool off. Remove skin and pips of the orange pieces and extract the juicy, inner orange pulp. Boil the pasta in salt water till its tender. 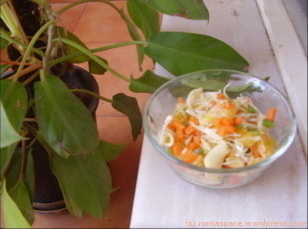 In a mixing bowl add carrot, capsicum, lettuce, parboiled beans, parboiled corn, pasta, apple and orange pieces. Mix in the dressing ingredients. Serve chilled. Along with beans and corn you can also parboil fresh peas. 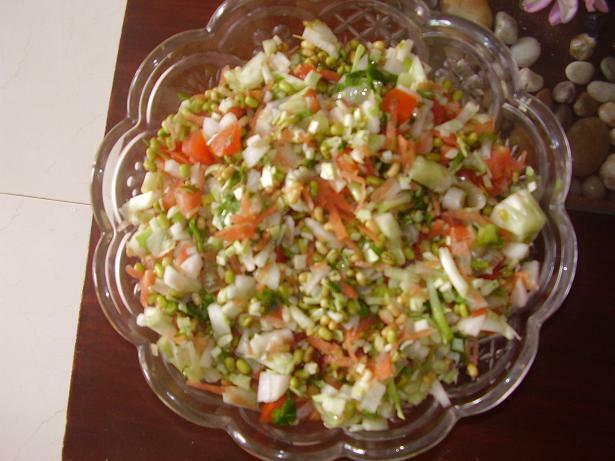 This is a cold, crunchy salad with a sweet and sour taste. 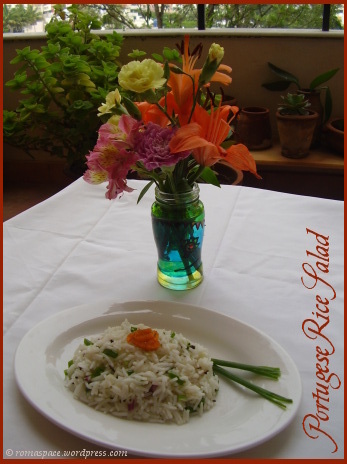 Its taste depends completely on fresh and crispy vegetables. If fresh Iceberg lettuce is available anywhere then this is the way to go. Shred the lettuce and cabbage. 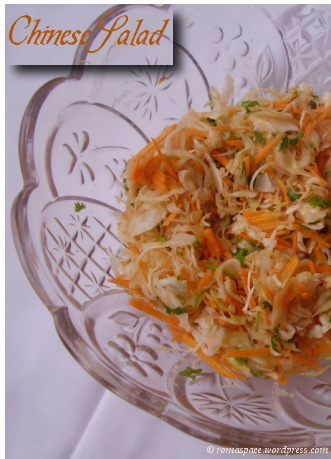 Mix in the grated carrot. Mix the ingredients for the dressing in a bowl. Stir well till sugar dissolves. Now mix the dressing into the salad and refrigerate for an hour. 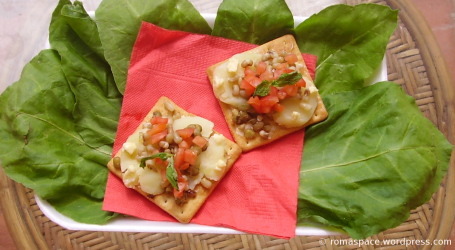 Serve with meals or snacks.